We sent Entertainment Editor Riley to Litchfield Penitentiary to catch up with everybody’s favourite inmate, Julie Lake, who plays lovable ‘meth-head’ Angie Rice. The show on the tip of everyone’s tongues right now is undoubtedly the Netflix original series Orange is the New Black, which this year released a third season. OITNB has taken the world by storm; proving that online series are certainly on the rise and a substantial threat for their television counterparts. Since the show was first released on Netflix in July 2013, it has accumulated an extensive fanbase; one which only continues to increase. Lake quit her day job as a secretary to pursue a full time career in acting and, following meeting her fiancé after the second season, her life has significantly changed in a short space of time. Without the show, Lake believes that she wouldn’t have had the confidence to be in the right place to meet the love of her life, so in a way prison has liberated her, well, metaphorically at least. When Lake isn’t spending time with her castmates, she’s planning her wedding and her “epic honeymoon in Argentina.” So if you are a fan from Argentina, Lake asks you throw some location tips her way. Wedding planning and filming aside, you could typically see Lake in the Columbia University Library (which she’s always sneaking into) and if you’re looking to run into the star she told Motley that you can find her and the other castmates together in restaurants that surround the studio where they shoot in Queens. The season ended on a heart-warming note, seeing the inmates enjoying precious freedom in the neighbouring lake, which apparently was great fun to shoot. 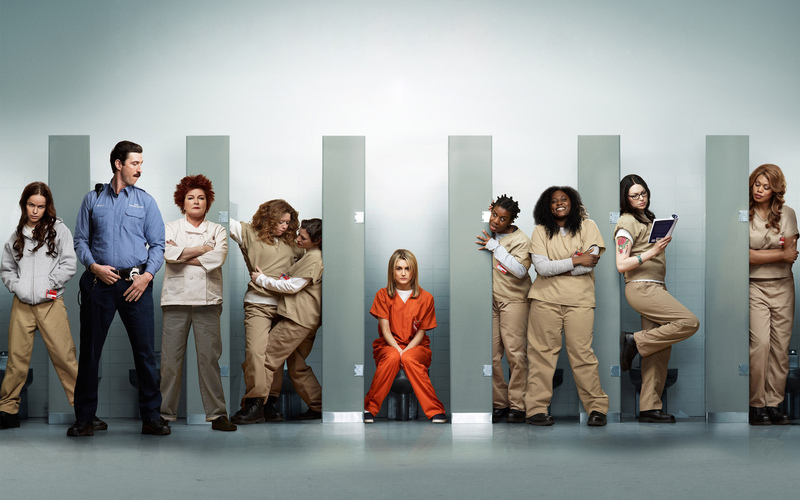 Orange is the New Black Seasons 1 – 3 can be streamed on Netflix now. Highly addictive. May result in emotional breakdowns.